I was the most adorable kid ever, (if I do say so myself) …until 3rd grade (8 years old) or so. I’m not sure what happened but I began to obsess over food. I was ALWAYS hungry but I was scared to eat in front of my classmates and my family. I would go hungry all day and then sneak food and binge when I thought no one was looking. I developed a really unhealthy relationship with food. I packed on the pounds pretty fast and yo-yo dieting would be something that I struggled with until I was 26. 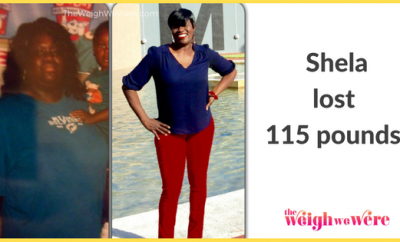 My weight affected every aspect of my life in a negative way: I couldn’t walk from point A to point B without getting out of breath or breaking a sweat; I’d drive 40 minutes out of town to shop at Lane Bryant because we didn’t have one in my hometown. Whenever someone would compliment me on my clothes and ask where I got them, I would lie and say, “I don’t know. It was a gift…” because I was ashamed; I was super, super shy (and completely inept) with boys (men, when I got older); On gym days at school I’d fake being sick so I wouldn’t have to do the fitness challenges; I’d turn down invitations to parties with friends; I always wore a T-shirt over my bathing suit, even when I went IN to the water; I never once ate lunch in the cafeteria in high school, I’d wait ’til I got home and I’d pig out because I was so hungry by 3:00; Then, there’s the internal agony of feeling like you’re a disappointment to all your loved ones… I could go on and on and on. Every single action/re-action that I had (or didn’t have) to ANYthing was motivated by my weight and how self-conscious I was of it. In 2006, I made it to screen test callbacks with producers of NBC’s “The Biggest Loser” …only to not be chosen as a contestant for Season 3. I was absolutely devastated. Ironically, I gained weight in my depression over that. And, it wasn’t until 2008 when I FINALLY got smacked in the face. I call it my “ah ha!” moment. I was watching a home video of myself and it was seriously like an out of body experience because I did not believe that the person I was watching was myself! It was kinda scary, actually… to not even recognize yourself. In that moment I had finally decided enough was enough. I have to say I was pretty freakin’ motivated 🙂 I was SO SICK of myself that THAT was motivating me to keep going. I can’t explain it but it was like someone else was doing all the work for me. I know that God certainly had a hand in it. Nearly 5 years later I’m still awe-struck that I did it with such determination and fervor. I was on a mission and nothing was going to stop me. One week, a few months in to it, I gained 3lbs. It crushed me! 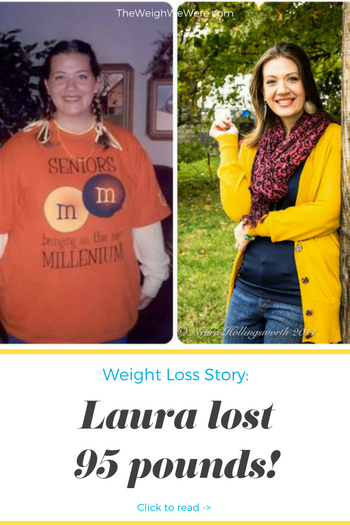 I had my pity party and pouted for a day… I did NOT binge eat like the “old” Laura would have but I did go a little lax on my diet that day. Again, some other force was doing all the work for me and I just kept thinking about all the misery I went through up until this point… The next day I got back to it and on the next Monday I had a 5lb loss. When I was heavy I ate anything and everything. If it tasted good, it was going in my mouth to Heck with the consequences! I still struggle with this addictive/gregarious kind of trait but I manage to keep it under control… Now, I pay attention to what I eat. The principle is the exact same as it was when I started: Eat healthy, drink lots of water, treat yourself without freaking out, and just be smart. I went from couch potato to gym rat 🙂 I don’t actually GO to the gym but I work out in my home 6 days a week. It didn’t happen over night. Just like losing weight, my fitness level gradually progressed. It’s an awesome feeling to know that I can do anything with my body, physically. An injury has recently made me modify the intensity of my workouts but I do what I can: Pilates, yoga, cycling, etc. Being active is as much a part of my routine as getting dressed. It’s second nature now. Set SMALL goals. 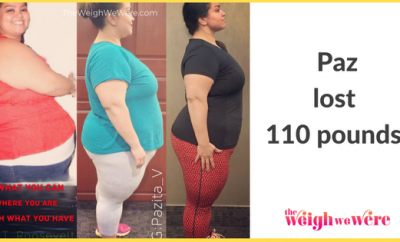 Losing 3lbs, for example, will seem much more doable than losing 100lbs. NEVER say that you “can’t” have something to eat. You are in control of your body. Eat that cookie, love it, and be mindful of everything else you put in your mouth the rest of the day. It’s all about balance. Weigh yourself EVERY week. Even after you meet your weight loss goal, you want to maintain it! Weighing yourself once a week will keep you accountable. *Do NOT weigh yourself every day… at least while you’re losing. Weight fluctuates (mine, 7lbs in a week) and you’ll go crazy! Don’t burn yourself out with exercise. Start slowly and build your way up. 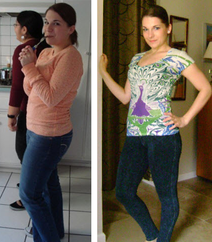 ← Previous Story Barbara Eckonen lost 45 lbs! Read on to learn how she did it! Congrats gf…I am 228 pounds and have to lose at least 100 or more…. Congratulations, Laura! You did it the right way! Pat yourself on the back. You look great! 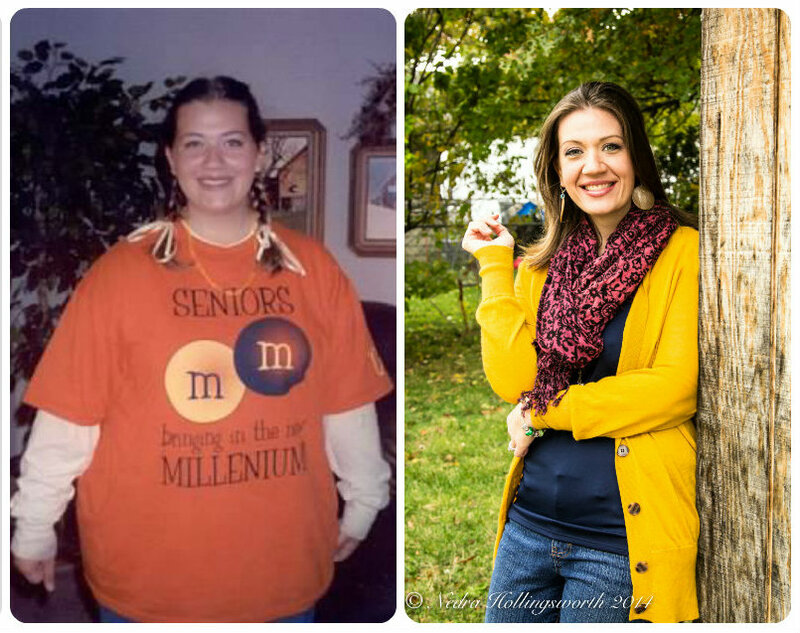 I didn’t tell anyone what I was doing, either, when I was losing my 90 pounds. When I flew home for Christmas, my dad walked right past me in the airport – he didn’t even recognize me! Laura, I enjoyed reading your story. I never would have guessed you went through that battle . You look amazing. Thanks for sharing. I would love to start a movement called, “THE BIGGEST WINNER ” where weight loss without shaming and realistic life long goals are made! Wow!!! Great story!!!! And you look beautiful!! I loved reading your interview things for sharing! You look amazing! Girl you did it ! With all the bad stuff coming out about the Biggest Loser, she’s lucky she didn’t make it or she would have gained her weight back. (read the articles in the New York Post). Congratulations!!! You are a great inspiration..
She will likely keep it off because she’s done it on her own. You look fabulous. BTW, I wish every story would put how tall a person is. I agree. If a person is 5′ 10″ and weighs 250 it is quite different than being 5′ 2″ and weighing the same. Thank you! Height is a great reference. Congratulations on all of your hard work!! This story is my favorite one of all! Great story! You did things the sensible way. Not emotional damage for the Biggest Looser…… Good for you! You have your poop in your group! 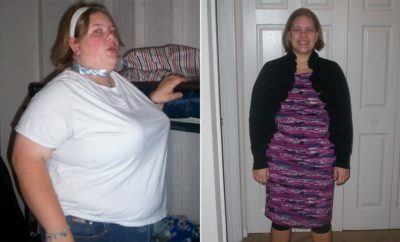 I tried out twice and didnt get in but still lost 115lbs on my own. Just clicked like on the page and your story is the first one I read. Love how strong you began and love how strong you are now!! Congrats on your weight lost. You look amazing!! Good for her. The biggest loser doesn’t seem to teach healthy habits anyway. That’s absolutely phenomenal! Good for you!! That is awesome, and so healthy…you’ve motivating me! Thanks for the details. Still trying to figure out how to get started. Something has gotta give soon. Good for you. I’m in the same boat. I tried and got turned away. You’ve done great.